Students apply decision making skills to find the most effective way to implement ideas, design, create and make artworks devised from a range of stimuli, demonstrating development of a personal style. They evaluate, reflect on, refine and justify their work’s content, design, development and their aesthetic choices. Students realise their ideas, represent observations and communicate their interpretations by effectively combining and manipulating selected art elements, principles and/or conventions to create the desired aesthetic qualities. Independently and collaboratively, they apply their knowledge and understanding to design, create and produce artworks influenced by the style of particular artists or cultures. 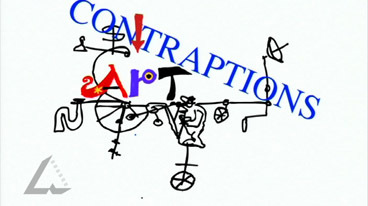 They vary the content, structure and form of their artworks to suit a range of purposes, contexts, audiences and/or the conventions of specific styles and demonstrate technical competence in the use of skills, techniques and processes. They effectively use a range of traditional and contemporary media, materials, equipment and technologies. They maintain a record of how ideas develop in the creating, making and presenting of their artworks. Students to produce some quick contour drawings. Do not limit drawings to pencil: try everything and anything; pen and ink; ink and a twig from a tree; charcoal; crayons; crayons, watercolour brush and ink; paper with different textures; or other combinations that may not have been used before. These drawings are best done from observation e.g. figures. The main purpose is to create spontaneity in your art works. Creating a political cartoon around an issue.